With 5,700 small-scale farms, San Diego County bills itself as having the state's largest concentration of small farms, reported Tatiana Sanchez in the San Diego Union-Tribune. About 4,000 of the farms are from 1 to 9 acres in size. "We have 3 million consumers in San Diego County and maybe 17 to 18 million consumers in Southern California. It makes an opportunity for someone to find a niche and find a place to succeed in this world and sell their product," said Eric Larson, executive director of the San Diego County Farm Bureau. UC Agriculture and Natural Resources has an advisor dedicated to agricultural economics and small-scale farm production in San Diego County. Ramiro Lobo, who is based in the UC Cooperative Extension office in San Diego, said new and veteran small farmers face tough odds. "Most of the land that is available in San Diego County is already being farmed. People are paying (standard) real estate prices for agricultural land," he said. For existing farmers, the challenge is simply to stay afloat financially, Lobo said. Decades ago, most small farms grew avocados and citrus, the article said. Because of water challenges, today's small-scale farmers typically grow high-value crops like cut flowers and other nursery items. Another crop that is growing is popularity is pitahaya, or dragon fruit. 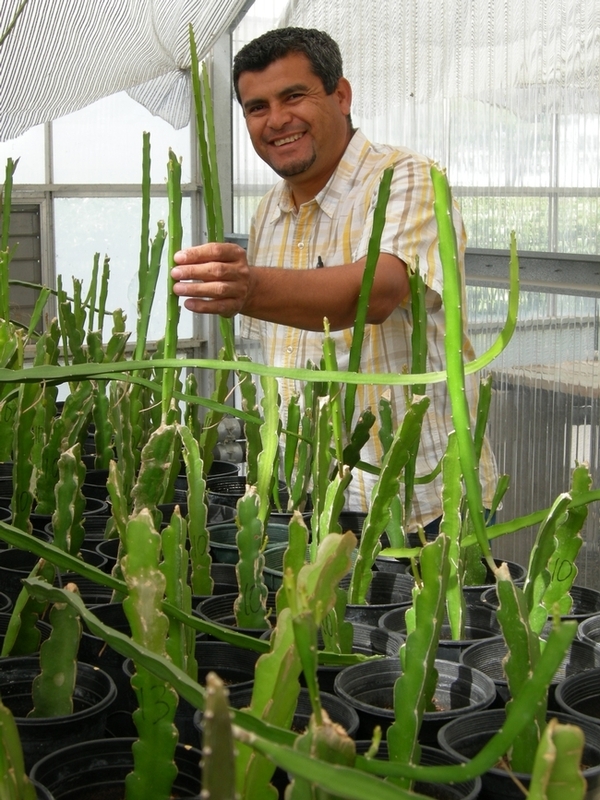 Lobo is testing pitahaya varieties at the UC South Coast Research and Extension Center in Irvine. Each summer he invites farmers and the public to the center to sample the fruit and learn about pitahaya production.